The hood steps out of the Shadows! the final confrontation between international rescue and their mysterious nemesis will decide the future of the world. Only one can be victorious. The Thunderbird: the hood expansion allows one player to become the hood and thwart the plans of the international rescue team by hijacking and photographing Thunderbird machines and kidnapping characters. 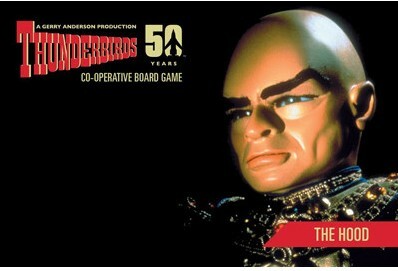 Requires the Thunderbird co-operative board game to play.